Bring your favorite drink along for the ride! 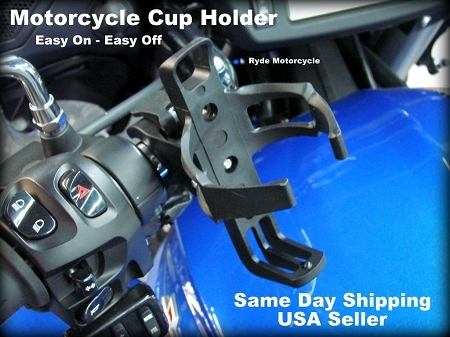 Our Easy On - Easy Off clamping system features the No tools Needed -"Bear Claw" Clamp so you can easily install or remove the cup holder on your motorcycle in seconds! 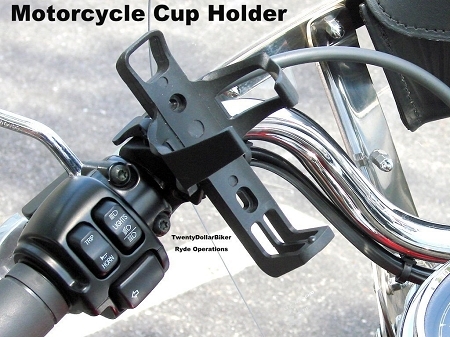 Our New York City tough, drink holder is made of a durable satin black nylon with a no slip serrated mounting clamp. 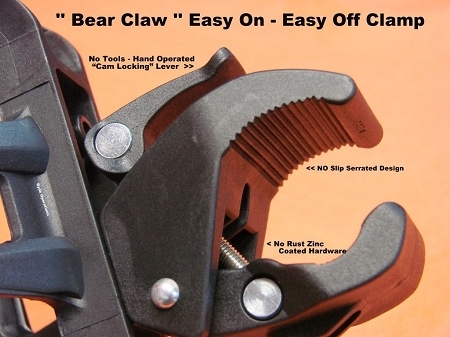 The "Bear Claw" clamp is designed to fit 1/2" to 1-3/4" circular & oval on your motorcycle like handlebars, handrails, saddlebag guards or engine guards.